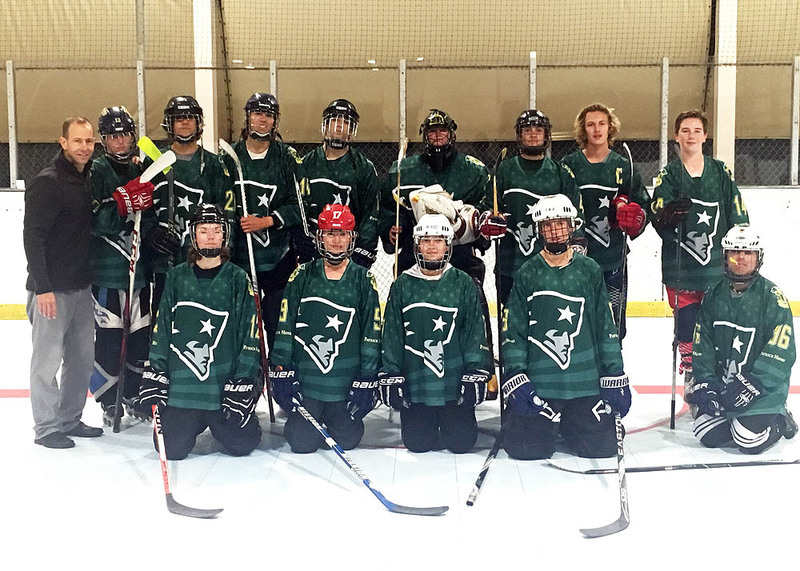 Patrick Henry High School’s first-year roller hockey team was just a dream in early September but on Nov. 30, that dream became a reality as the Patriots skated in their first CIF-Metro Conference game against the defending Kiwanis Cup champion Westview Wolverines. The Wolverines won 13-1 but head coach Chuck Russell felt his team had still earned a victory in its own right. 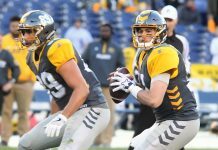 The Patriots began as an idea at a dinner table conversation between Patrick Henry student Matt Russell and his father two years ago. The idea was further supported by his younger sister Jennifer, who signed on as the club’s treasurer and the elder Russell, who was later recruited as head coach. 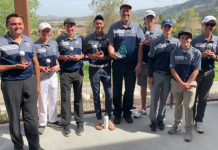 The idea of fielding a club roller hockey team at the Del Cerro school wasn’t as far-fetched as some might have guessed. The fledgling club drew interest from 25 students, most of whom had never played roller hockey before. “This was completely unexpected,” Chuck Russell explained. But the lack of playing experience didn’t dim enthusiasm for the venture. In fact, there was more good news on the horizon. The Patriots received a boost when the Metro Conference granted them admission – and official CIF playing status — on Nov. 3 for the 2016-17 season. It was suddenly time to roll. The team’s roster would eventually take shape with 13 players – eight of whom had never touched a roller hockey puck before. Brush-ups on skating took place at the nearby Skate San Diego rink in El Cajon courtesy of rink owner Joe Noris. Equipment donations were secured through friends and contacts of the elder Russell. However, this isn’t to say the Patriots haven’t encountered their share of challenges. “Since we are a first-year program, we do not have any returning players,” the Patrick Henry coach explained. The Patriots rolled onto the court with five players who did have some type of hockey experience, however. Both Matt and Jennifer Russell had played ice hockey since they were 3. Both have recent or current experience with the Anaheim Ducks High School Hockey League. Matt plays for the Poway Hawks while Jennifer plays for the San Diego Union Hawks junior varsity team in the expansive league that embraces teams as far away as Orange County and the Los Angeles area. Other players with experience include Angel Lara (Anaheim Jr. Ducks ice hockey), Cameron Elswick (San Diego Saints ice hockey) and Tyler Daniels (San Diego Selects roller hockey). Elswick is a junior while Matt Russell is a sophomore and Lara, Jennry Russell and Daniels are all freshmen. New recruits include senior Derek Carver, juniors Ben Kelly and Clinton Allen; sophomores Leilani Haughland-Taitano, Aidan Rion, Felix Gomes, Ruben Allen and John Miller. Matt Russell, assisted by Clinton Allen, scored the Patriots’ inaugural varsity goal with about three minutes remaining in the team’s season opener against the Wolverines. With 12 underclassmen on the team, that should not be a problem. There is obvious room to grow. All of Patrick Henry’s 18 regular season games are scheduled against teams in the seven-team North County League that is traditionally considered the strongest league in the 16-team conference. Games are split between the Escondido Sports Center and Skate San Diego. The Patriots coach said the team’s focus will not be on wins and losses during the first season. The Patrick Henry coach also hopes his team’s genesis is an inspiration to students at other schools who wish to start up a club roller hockey team. particular approximately my difficulty. You are incredible! not this publish is written by means of him as no one else understand such precise about my trouble. allright. Is it just me or does it look as if like a few of these comments come across like they are coming from brain dead visitors? 😛 And, if you are writing at other social sites, I’d like to follow everything fresh you have to post.